It's happened; I've given in to the poke cakes. I suppose it was bound to happen sooner or later because I spend a lot of time cruising Pinterest. One can only withstand two million pictures of cake before one gives in. My willpower originally caved over red velvet poke cake. I followed a recipe and it was super easy and major delicious. Then my husband asked, "Do you think you could do a orange creamsicle one?" His wish being my command, I busted this puppy out real quick and in a hurry. I even took a brief hiatus from my dairy free lifestyle for these cakes. Talk about falling off the wagon--haha. Now, the red velvet one I had made had cream cheese flavored pudding, but this one uses condensed milk. My husband said that, in the end, his favorite was the pudding filling. I liked that the condensed milk made this cake extra moist. I don't play favorites--they are just different. But you could totally use vanilla pudding mix instead (in which case you'll want to do two boxes.) Personal preference is what it truly comes down to. 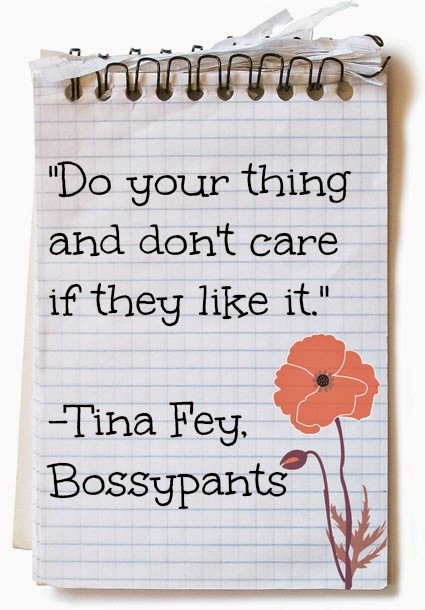 Either way, enjoy poking your little cakey heart out!!! 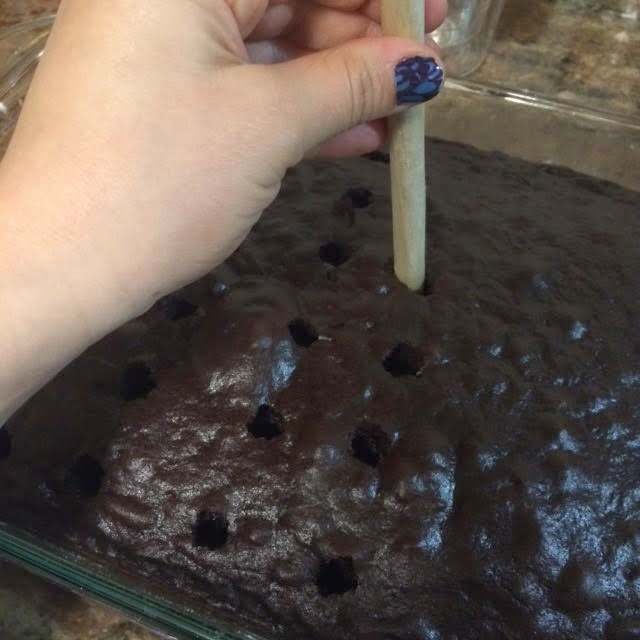 Using the back of a wooden spoon, poke holes evenly throughout cake. Pour one can of condensed milk into the holes and over the cake. Refrigerate cake (preferably overnight to let it all fully absorb). *You can sub in two boxes of pudding with the specified amount of milk to make them, totally your choice. Bake cake according to directions on the box. Remove from oven and allow it to cool on a rack for 5 minutes. It's important not to let it cool too much because you want to get the condensed milk in there while it's still warm. Crack open that can of condensed milk. Try not to eat it up because condensed milk is just one of life's best guilty pleasures. Pour it over the holes of the cake and over the cake. Cover with foil. (If you are using pudding, as a substitute for the milk, then place it right in the fridge.) Allow the cake to cool and then place in the fridge, preferably overnight to allow all that condensed milk goodness to soak in. Before serving, top with the whipped cream. Enjoy.